Like beavers, porcupines live in woodlands and forests where they eat wood and bark. Sometimes they even sneak into campgrounds to chew on canoe paddles or other wooden items. Porcupines also eat soft plants and fruit. 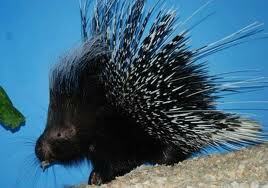 Porcupines are covered with as many as 30,000 quills. Some quills are 12 inches long.Read on for more all about porcupines. 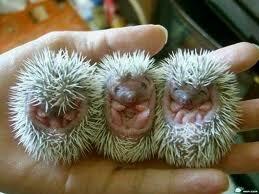 Porcupine babies have soft quills. The quills harden in two days. 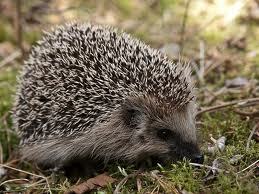 Porcupines live in North America, Asia, Europe and Africa. There are over 24 kinds of porcupines. Porcupines have big front teeth for chewing wood. The African crested porcupine is the largest porcupine. It grows up to 36 inches long. A video about the porcupine’s quill and self defense mechanism. Question: Can porcupines shoot their quills? Answer: No, porcupines can’t shoot their quills as previously believed. Question: How big are porcupines? Answer: The African crested porcupine is the largest porcupine. It grows up to 36 inches long. The smallest porcupine is the Bahia hair dwarf porcupine, which grows only 15 inches. Enjoyed the Easy Science for Kids Website all about Porcupines info? Take the FREE & fun Porcupines quiz and download FREE Porcupines worksheet for kids. For lengthy info click here. Declan, Tobin. " Fun Porcupine Facts for Kids ." Easy Science for Kids, Apr 2019. Web. 25 Apr 2019. < https://easyscienceforkids.com/all-about-porcupines/ >.